Maybe thoughts about food fill up your head all day long? Rather than thinking about the piece of work you are doing or the weekend get together, you are contemplating the next meal or snack, the next opportunity to eat, or you are chastising yourself for food you wish you hadn’t eaten earlier today. 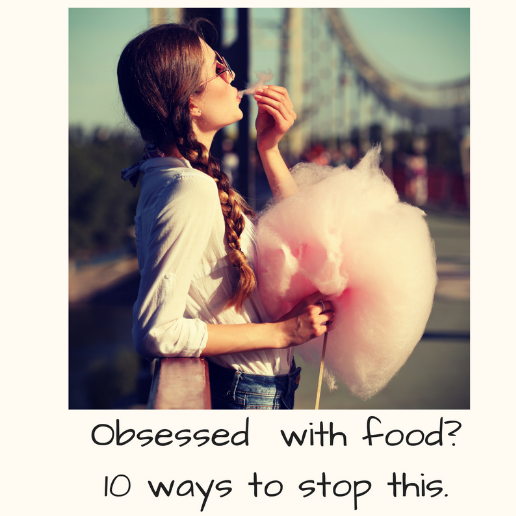 It is not a comfortable musing about the tastiness of food, but rather a distracting obsession, that unwittingly permeates continuously through your head.